As an award-winning organization with an innovative approach to promotion, visitor management and tourism development, Amsterdam Marketing is considered among the world’s leading city marketers. The city was among the first European destinations to sign a unique partnership agreement on home sharing and tourist tax with Airbnb. The organization is also known for its consistent commitment to the socialgenic branding campaign of “I amsterdam”, its collaboration with visitors, residents and business stakeholders, and for its approach to building content and community through storytelling. As part of our Leading Thinkers series (featuring the insights of those who participated in discussions at Destination Think! Forum 2016), we contacted Eduard Pieter Oud, Chief Operating Officer at Amsterdam Marketing, to discuss managing sustainable tourism growth, dealing with the challenges of success and why collaboration is essential. Destination Think! : Some recent reports point to an increase in tourism to Amsterdam in the last few years and concerns that go along with it. Can you describe Amsterdam’s recent tourism growth and how this has affected the city? Eduard Pieter Oud: Since 2011, we have seen a growth in the number of visitors of 15%, and the United Nations World Tourism Organization (UNWTO) expects that there will be further growth of worldwide tourism. What we see in Amsterdam is that the number of days of visits grew even higher, with a 94% increase. Specifically, Dutch day visitors come to the city more often, while Dutch and foreign overnight visitors are staying longer. The city has difficulties in absorbing these visitors, because the centre is compact and the most important sights reside mostly in the historical centre. There are spots that sometimes get too crowded with visitors, which has had the effect that the diversity of shops change and become more touristic. On the other hand, the economic impact is huge. In the last couple of years, the turnover of the visitors industry doubled and the number of full-time employees serving visitors grew 85%. Since the successful increase in visitation numbers, some have expressed concerns (voiced in the Dutch newspaper Het Parool, for example) around managing the volume of tourists in Amsterdam. What are some of the main challenges this growth brings with it? 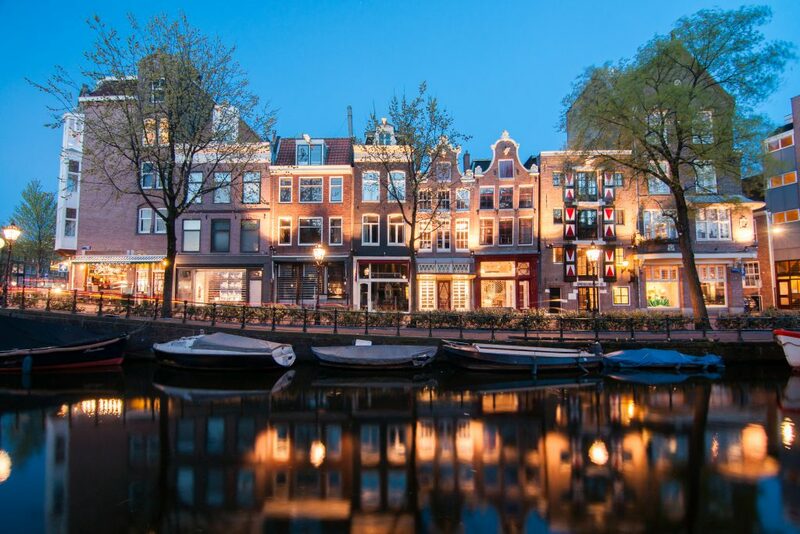 Amsterdam Marketing is a city marketing organization that works for residents, visitors and businesses, and in our opinion, a city can only be successful if there is a balance between living, working and visiting among the city’s diverse offerings. One of the biggest challenges for us is the way we approach public spaces. For example: what to do with all kinds of modes of transportation in the centre (like touring cars, Segways, beer bicycles, etc.)? Or roads for cars, cyclists or pedestrians? Or making choices and dealing with the growth of hotel rooms and Airbnb? That is up to the city administration. Having enough diversity in terms of shops is also a challenge, because few Amsterdammers shop for their daily stuff in their own city any more, so entrepreneurs are now making new choices about what to sell. These kinds of problems all have to do with permits and law, so that is for the municipality, not the marketers. Plus, trouble in the city – including drunk visitors – cannot be solved by marketing. As visitation increases, how does Amsterdam Marketing seek to manage the destination in ways that will be sustainable for the city and its residents? As marketers, we are creating a new destination Amsterdam. Our metropolitan area is now the new destination, and 25% of visitors now visit the regions that lie outside of our city. They stay longer and the number of repeat visitors is growing. We’re trying to change the reputation of Amsterdam into a city with windmills, flowers, and a beach within reach. Getting out of the city centre can offer a unique addition to a city visit, and if other experiences are easy reachable by public transport, foreign visitors will go there. Dutch people want to visit their capital, but even here, we’re trying to spread them to the outlying Amsterdam neighbourhoods. For many years, we’ve focused our marketing on the cultural profile of the city. But many visitors are now coming for other reasons. They are welcome, but not if they cause trouble. For example, we don’t market to or focus on stag parties, but they do come to Amsterdam (and cause trouble). The city does not want this sort of visitor, so are opening a new low-cost airport in Lelystad, possibly attracting some of the target groups we do not want, there. But this doesn’t change our approach, however, we still focus on the visitor that doesn’t cause any trouble and try to raise the cultural profile of Amsterdam (and surrounding region). We’re looking at the long-term with our approach. We did see growth over the last couple of years, but it was caused by an unstable international situation, and for the short-term, there wasn’t any growth last year. This proves that a consistent large growth is not obvious. Do you have advice for other destination marketing organizations (DMOs) that face the challenge of managing sustainable tourism growth while bringing a net benefit to their residents? The balance between living, working and visiting will be the biggest challenge for destinations. We want visitors because of their spending; the economic impact of visitors is the main reason why we are “doing tourism”. But that has an impact on residents, jobs, in spending, in facilities, etc. So if you want sustainable growth, you have to involve residents, which is different from involving the public sector. The tourism industry must also be involved. Are they willing to look at the longer term or do they only look at making money at this moment? And finally, [we have to look at] what choices the city is making (including public spaces, number of beds, location of new museums, etc.) As a marketing organization, we can use our role to bring different parties together and ensure that decisions are being made based on fact and not feelings. That is why we invest in research. At the end of the day, we must offer a marketing proposition where the economic impact remains, and the city remains liveable and lovable. How do you think DMOs’ roles will change over the next five years as they adapt to today’s challenges? The role of the DMO will differ from one destination to another. Some destinations will embrace tourism (and conventions) as part of their economic survival. That DMO will fulfil a traditional role that is focused on growth, which can be profitable for residents. As long as the locals absorb the negative effects of the growing numbers of visitors because of their dependence of the tourism industry, there won’t be any problems. But the question then arises: will destinations stay attractive for visitors in the long term if they’re filled mostly with tourists and tourist shops? In destinations that are not dependant on tourism (and conventions), because they may have a broader economic model and income, negative results of growth of the visitors industry will have an impact on the city and will lead to protests by residents. Keeping the balance between working, living and visiting is one of the big challenges for these DMOs. Only integrated city marketing organizations can take a role in these destinations, because they have a responsibility for the welfare and wellbeing for residents, business and visitors. In 2002 we worked with the municipality of Amsterdam and the Amsterdam Tourist Board in mobile concepts (‘Timespots’) and we witnessed the birth of ‘I Amsterdam’. Already then the whole idea behind this was to re-brand Amsterdam due to sharpening of competition from other cities both within and outside the Netherlands. Again, this was 14 years ago. The feeling was that the previously promoted brand was becoming inadequate and Amsterdam’s international image associated with Holland’s liberal attitude towards alcohol, soft drugs and prostitution was now seen as inappropriate for the city. It is good to read this: https://www.iamsterdam.com/~/media/PDF/choosing-amsterdam.pdf. Branding and city marketing would solve all problems was the general idea. The general feeling nothing really changed since then, except that we only got more (low- and high budget) tourists pouring into the city, more ‘coffee shops’ replacing nice boutiques, cheese shops on very corner of the street, whole streets being bought up by real estate investors for (illegal) AirBnB rentals and matters have only become worse. I can safely say that the re-branding project started in 2002 – to say it gently – has not ended yet, even that many of the goals defined then have not been achieved and I still see Amsterdam pursuing the same efforts as they started to do 14 years ago given that you are calling this ‘new’: turning the metropolitan area (other neighbourhoods) and regions outside Amsterdam into the new destination, focussing on culture, downgrading drugs, prostitution, etc. These were already goals in 2002. The situation today is also that many residents are moving out of Amsterdam (reason they give: high house prices but especially too many tourists in general) and have started to resent ‘I Amsterdam’ since it has come to stand for exactly all the wrong things which the new brand actually wanted to get rid off in 2002. The Amsterdam experience is quickly deteriorating. I am very interested to know your view on how (city) marketing tools can adequately solve the challenges of today’s Amsterdam (and similar) destinations overrun tourists as described above in the interview and what those tools are? And/or are you looking at how are other destinations are organizing themselves, e.g. Visit Flanders (same issue with Bruges) which is taking a ‘destination development’ approach, moving away from promotion/branding, and focussing more on the ‘product’ (‘as the total experience of the product’)?